Bubba’s Call has turned into a winning machine and ran up a hat trick of wins when running out a comfortable winner at Stony Creek on Monday. 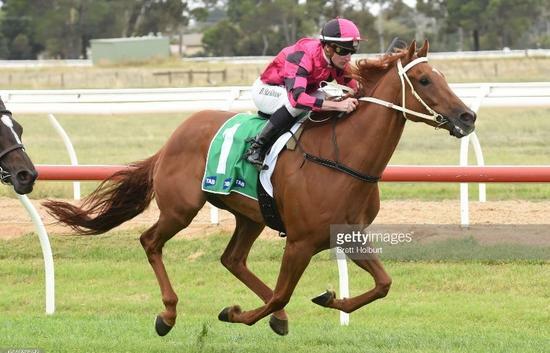 The five-year-old was stepping up to 1700m for the first time after wins at Tatura and Werribee and enjoyed a text-book ride from Jamie Mott to win the Benchmark 64 Handicap. Mott has enjoyed a long association with the stable and it was his first winner for the father and son training partnership. “It’s great to get my first winner for Scott and the horse looked really well placed in this race,” Mott said. “He’s racing in great form at the moment - he began well, he travelled well and did everything right." Mott had Bubba's Call positioned behind the leaders to the home turn and looked to be travelling easily. “It was just a matter of waiting for the gap to appear and when it did come he really quickened well," Mott said. Bubba’s Call has progressed from a rating of 52 in November to 64 following his latest win. "He takes a few runs to get fit and find his form," Scott Cameron said. "It was a great ride from Jamie - we thought there looked some speed in the race and I asked him not to give him a dig as he's a horse that can fire up. "It just worked out perfectly and the horse did the rest. "We'll just raise the bar slowly with him and hopefully he can keep winning."